One of our behind-the-scenes shopping secrets lies in the review section. Real women spill their honest opinions about the pieces they love (and might not love), so we always listen up. 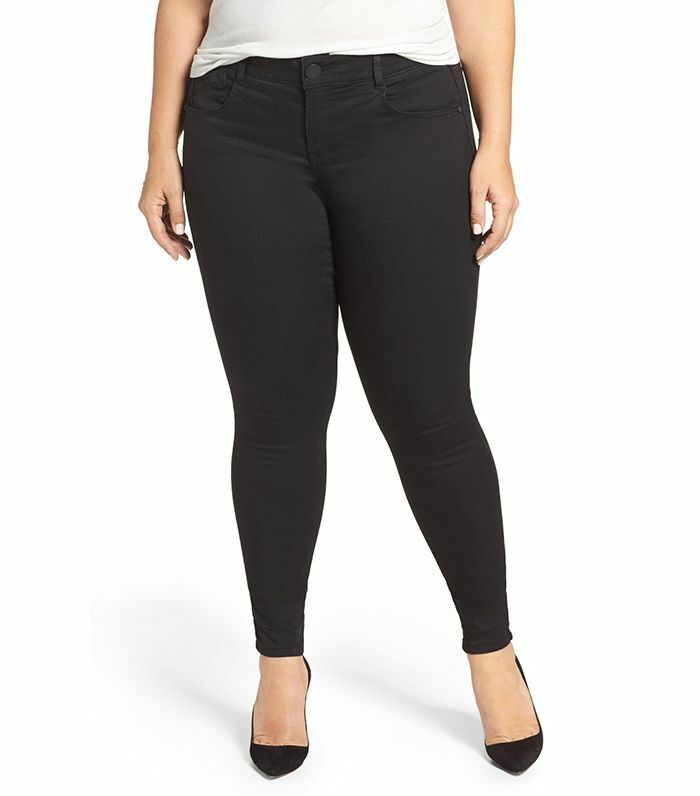 And our latest Nordstrom browse pointed us in the direction of the best jeans for curvy women. Since jean shopping can be tricky—especially online—we were happy to discover styles with positively glowing reviews. Some women swear their jeans are “absolutely perfect” and “fit like a dream.” Another lifelong jean hater found a pair that made her convert to denim. Of the top 20 reviewed pairs, there were seven by NYDJ and five by Slink—it’s noteworthy that these two denim brands came so highly reviewed, so make sure to check them out. Keep reading to find out what makes the jeans so popular and to shop the top-rated pairs. Try this pair of highly reviewed black skinny jeans. Do you want comfy jeans? Nordstrom user MCNR says these are not only “soft and comfortable,” but they look like jeans and feel like leggings. Try this highly reviewed cropped style. Slink is one of the most highly reviewed denim brands on Nordstrom.